Rochester, NY (October 7, 2018) – A motorcyclist was involved in a serious hit-and-run accident and lost his leg on September 23 at Culver Road near Parsells Avenue. The driver has not been found and Rochester Police are still searching for more information at this time. The driver of the motorcycle was identified as Harry Crawford. Crawford was struck by a driver who fled the scene immediately after striking him. Crawford said that the same thing happened to him years ago as well, but this time he lost his leg from the incident. Individuals at the scene of the accident rushed to his aid but the hospital was not able to save his leg. Police are now searching for the driver, who had been in a tan Toyota with damage to the front bumper at the time. Crawford is undergoing a variety of surgeries at this time. We extend our sincere condolences to Harry Crawford at this time, who has been involved in this serious motorcycle accident that quickly changed his life. We hope that he is able to receive a full and complete recovery after this horrific accident. Motorcycle accidents lead to serious, life-altering results every year on our roadways. 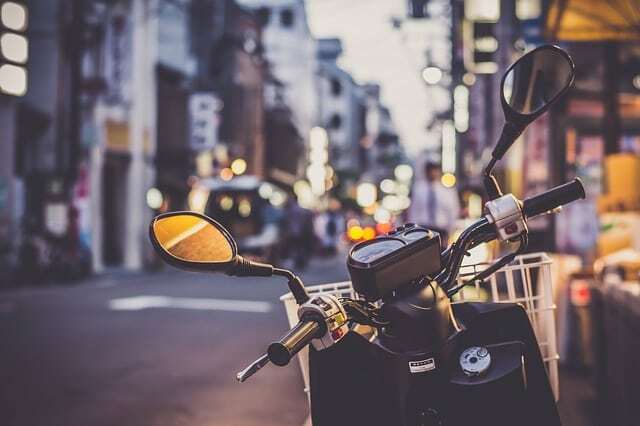 Unfortunately, motorcyclists are offered few protections on our roads, which means that they are more likely to receive catastrophic injuries or even be killed in these accidents. These accidents are made even more complicated when a driver decides that they are going to flee the scene without stopping to help. In these instances, the individual has committed a hit-and-run crime. If they are caught, they will be charged under the law. These criminal charges might be just enough to prove in your claim that the other party’s negligence contributed to your accident and that they will be held liable for your damages. At Hach & Rose, we wish to protect your rights by standing up for you when you need our protection the most. We will fight for your right to compensation for bills and more following a serious accident. Call us today to find out how we can get started on your case at 212-779-0057. We are here for you every step of the way.